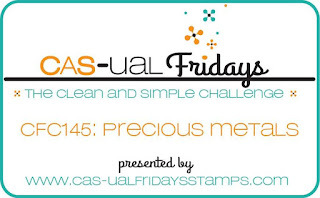 It's time for a brand new challenge over at CAS-ual Fridays. This time we have a theme for you to play with: precious metals. Think metallic thread, foil...so many different crafty options out there! 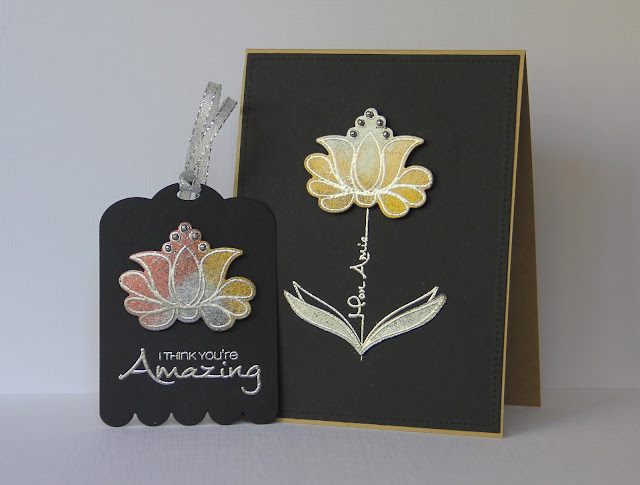 I had a play with this stamp set called Mon Ami and the accompanying Mon Ami Fleur Fri-dies. I've made a few cards using these stamps recently - so many different ways you can colour those blooms! For my card and tag, I used some metallic, silver embossing powder and coloured the images with a blend of metallic Perfect Pearls. The little studs at the top of the bloom are actually from a bath plug chain which has been sitting in my stash of trash for several years. Why did I have an old bath plug chain sat in my stash? Well, for this obviously! 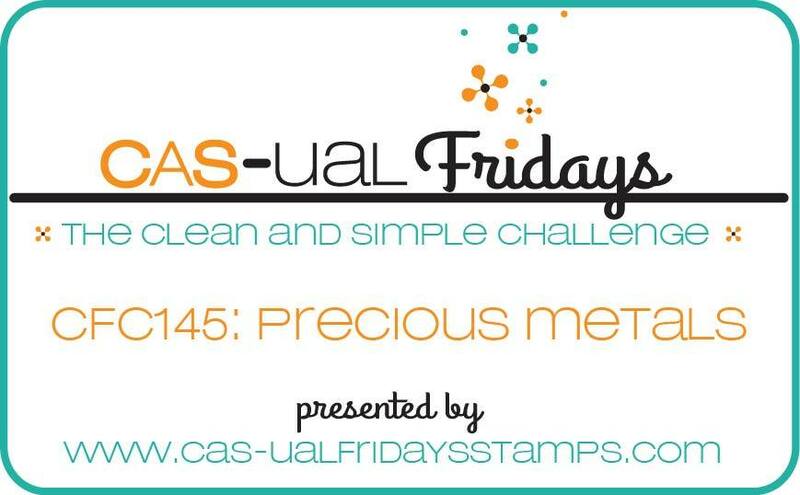 To be in with a chance to win a $20 gift certificate from Laura's Loft and CAS-ual Fridays link your creations by November 27th. For another chance to win, head on over to the CAS-ual Chic Utterly Adorable Layers Challenge. Wow, these are just amazing! These are so beautiful. And also a statement that hoarding strange items is a good thing! Stunning card and tag Claire! The perfect pearls add such a lovely soft luster. I have to say that I absolutely love that you used a bath plug chain on your card - genius! !